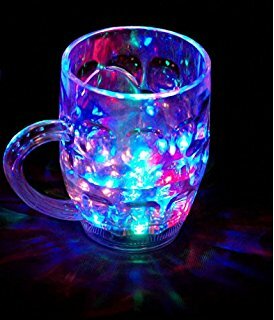 ENJOY DRINKING MOEMNT - Flickering in the darkness with dreamlike feeling,make you enjoy different drinking moment with this mug. Perfect for party and house decoration, suitable for parties, bars, characteristics, wedding party with activity. 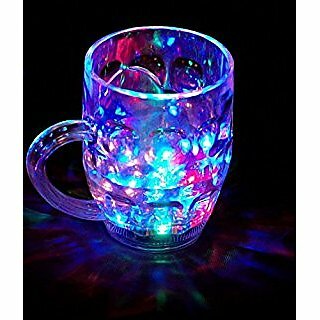 This magic cup only flickering when water filling in, when it is empty without water, it became normal as showed on the image,Material: Fibre Glass,Weight: 200 grams, Dimension:15 x 15 x 7 cm.